Is telethrepy or online therapy a good idea? Is it even possible legally to offer therapy services online? Can you offer online therapy service in addition to your established brick-and-mortar private practice? If you do offer online therapy, how do you get started? How do you find clients for online therapy? 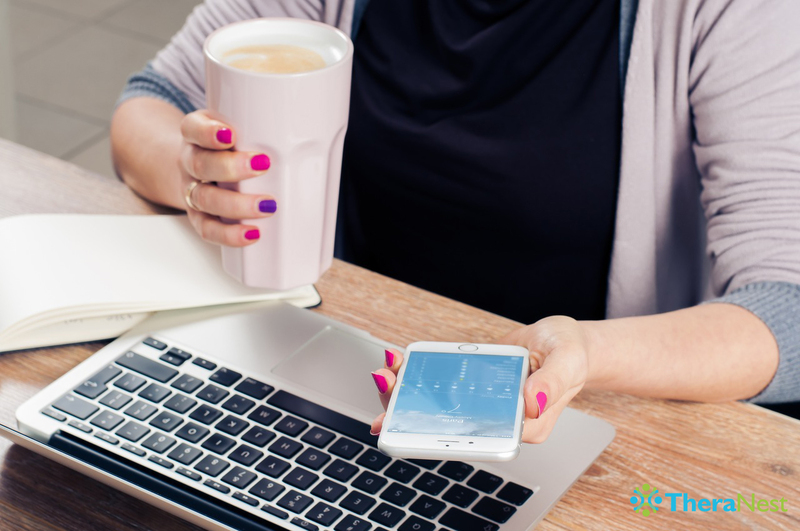 What tools do you need to “meet” with online therapy clients? If you’re currently searching for the answers to any of these questions, you’ve come to the right place. We’re going to discuss the most important things to consider about online therapy, including whether it’s the right choice for you and how exactly to get started. Let’s dive right in. Here’s a list of best practices to remember when offering online therapy. Teletherapy is online therapy. It is known by many names, including distance therapy, e-therapy, Internet therapy, web therapy, and more. No matter what you call it, the premise is the same: You “meet” with your clients by way of the Internet. Can You Offer Teletherapy (Online Therapy)? The short answer is yes. As a licensed therapist, you are able to offer online therapy services. Here’s the caveat: You can only practice in the state(s) in which you’re licensed. In other words, you can only offer your online therapy service to residents in the state that you’re licensed to practice. If you’re licensed to practice in Texas, you’re limited to Texas residents. Sorry, Oklahoma. However, if your Texas resident is vacationing in Oklahoma and doesn’t want to miss their scheduled session with you, you should be able to counsel them even if they’re not physically in the same state—as long as they are a legal resident to your state of practice. However, remember that we’re not the last word on this. Each state legislature makes its own laws concerning telepsychology and online therapy. The American Psychological Association recommends that you check your state legislature’s website frequently to stay updated on the most recent laws related to telepsychology. You should also check for online therapy policies published by your state licensing board. Because online therapy is still relatively new, so are the laws. So, let’s take a look at why some of your clients will love the idea of online therapy. Teletherapy helps reluctant clients avoid the stigma of receiving therapy. Therapy stigma is still a thing. Your clients may feel uncomfortable with the idea of going to your office for therapy. What if they’re “spotted” by friends or loved ones coming or going into your office for therapy? It’s cheaper for your clients. This is both a pro and a con, quite frankly. But for your clients, it’s a definite pro and a benefit that you can advertise when promoting your online therapy. You can still have your day job. Teletherapy can be done in addition to your regular clinical position because you get to choose your own hours. It’s more convenient for your clients. When your office is clear across town, it’s easier to open up a laptop and communicate through the magic of the Internet. Some of your clients may also be housebound, and online therapy is their only option to meet with you. It cuts down on possible no-shows or cancellations. There are fewer excuses to cancel a therapy session when a client can attend from wherever he or she is. Also, it reduces the probability of clients canceling because they feel unwell. You can be location independent. You’re not tied to the office. If you choose to offer only online therapy, you don’t have to worry about traditional overhead like a lease and utility bills. People are naturally more relaxed “at home”. Sometimes, heading into an office, no matter how relaxed, can raise a client’s anxiety levels and inhibit therapy. With online therapy, it’s easier to offer sessions on the weekend, before or after hours, or in the evenings. You can provide any type of therapy you are licensed in online. Even with all of the wonderful benefits of online therapy, there are a few drawbacks to consider. Let’s take a look at those now. You won’t make as much money. Online therapy usually costs less than in-office therapy, sometimes substantially so. Online therapy isn’t for everyone. Some people respond better to in-office therapy. It may be that the majority of your clients prefer in-office therapy. 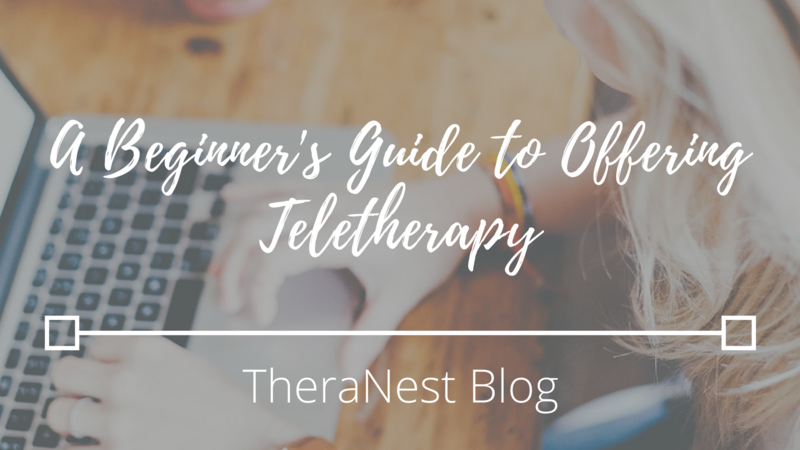 Is Teletherapy Right For You? Online therapy is quite possibly the future of mental health. From grocery shopping to movie watching, people are becoming more comfortable with living their lives on the Internet. It’s just so convenient. Online therapy is quite possibly the future of mental health. If it’s right for you depends on a lot of factors, but the most important one is whether or not your clients make a demand for it. As I mentioned above, not everyone enjoys the somewhat sterile nature of online communication. Some clients, especially if they’re older, may prefer the familiarity of visiting you in-office. However, if you’re catering to a tech-savvy client (of any age) who enjoys the convenience and other perks of online therapy, it may be just perfect. To determine if it’s the right option for you, offer the service and see. If your clients respond well to the idea, that’s fantastic. However, if your clients don’t like it, then don’t push it. Are Your Tools HIPAA Compliant? To practice online therapy, you’ll need to make absolutely certain that your tools protect your client’s privacy. Skype, unfortunately, is out of the question for video calls between you and your client. It is not HIPAA compliant. And, if you’re wondering, Facetime isn’t compliant either. Try TheraNest’s HIPAA compliant video conferencing software. TheraNest also allows you to schedule in a breeze, communicate with staff, and provide customized forms (including intake). You’ll stay on top of appointments and invoicing at the click of a button. Plus, Theranest is HIPAA-compliant, so you’re completely covered. Start your free trial now to see how TheraNest can simplify your practice. Once you have the right tools, getting started is simple. The only hardware that you need is a camera (which usually comes built-in to your laptop or smartphone) and a headphone/microphone combo. As for software, you only need to set up your video and your practice management services to start accepting clients. But that begs another question: How do you find new clients for online therapy? Let’s discuss below. Now, here comes the exciting part: Telling the world that you offer online therapy services. How do you do that? Set up a sign on your reception desk. If you have a brick and mortar private practice, start there. Add signs in the areas that your clients are most likely to notice. This also includes on the door of your practice, somewhere near your hours of operation. If you have an email list (and here’s why you need one), be sure to let them know the good news. In your email, list the benefits of your online therapy sessions (such as convenience, anonymity, and lower costs). 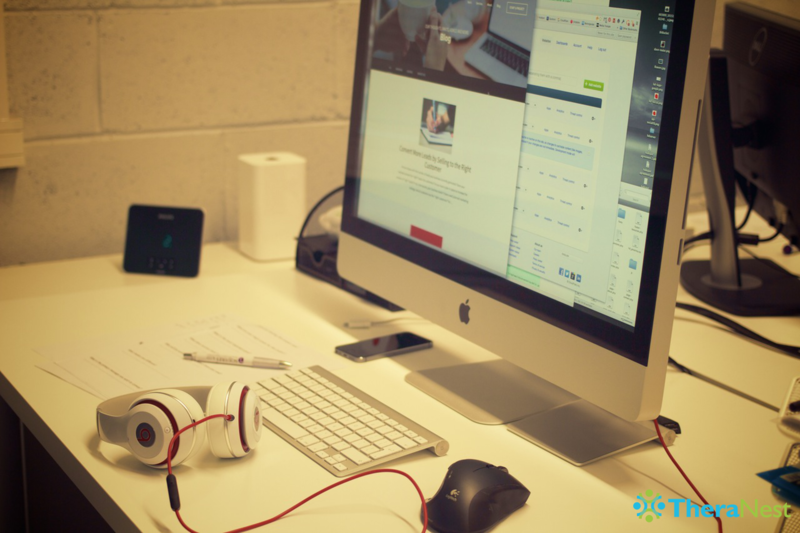 You may even decide to link to a landing page on your website with a full write-up of the benefits. Add it to your email signature. Let everyone you email know (without being pushy) that you’re offering online therapy services now. Simply adding “online therapy” under your name can be enough. Add it to your business cards. Advertise for your new service on your business cards too. Take out a paid ad. Create an ad campaign on Facebook, and target the people who are most likely to sign up for your online therapy services. Here’s more information on how to use Facebook to market your practice. Add it to your website. Add your online therapy to your list of services. Don’t forget to grab this list of online therapy best practices! Here’s a list of best practices for conducting online therapy. Subscribe to receive this extra resource.